Sleepy Hollow Drops the Headless Horseman for Season 3. Wait, What? We knew Sleepy Hollow was going through a pretty major retooling for season 3 after its troubled (and frequently boring) second season.But this might be the biggest change of all—the show is also dropping its iconic villain, the Headless Horseman, as well. But frankly, I’m kind of cool with it. 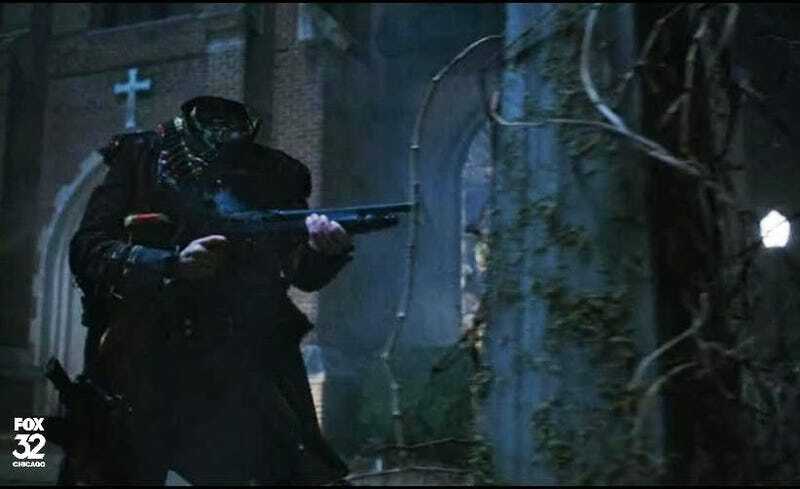 First of all, let’s remember that Sleepy Hollow has dropped most of its ancillary (and problematic) characters, including Ichabod’s witch-wife Katrina, his son/villain/Horseman of War played by John Noble, Orlando Jones’ once-fascinating police-captain-turned-boring-zombie, and Hawley, about which the less said the better. While the idea of any adaptation of Sleepy Hollow missing its cranially-challenged antagonist seems insane. unfortunately, like all the other villains in season 2, Sleepy Hollow turned the Horseman boring. He transformed from a frightening, unstoppable harbinger of the demonic apocalypse into a jealous dude who, frequently, actually had a head. He was not cool, and he was not interesting—as such, the show forced itself to drop the character, lest he bring his massive, boring backstory into a new season it would much prefer to start fresh. Contact the author at rob@io9.com.